When people think of taking a holiday in Mexico, they might think of a tropical beach retreat with exuberant palm trees, white sand and ocean breeze blowing their worries away. Everywhere you look for Mexico vacation packages you end up finding pictures of luring all-inclusive hotels, exotic pyramids in the middle of the jungle and explosive arrangements of tequila, margaritas and Mexican food. However, Mexico can offer not only tropical destinations for the adventure seekers, but also city landscapes filled with history, modern city lifestyle and a vibrant night life. This country, well known for its beaches, warm people, and incredible and colourful food, also offers an array of cities with historic landscapes, festivals, art and exciting activities for lovers of the urban landscape. In this post, I would like to share my amazing weekend getaway to one of the largest and most interesting cities in the world: Mexico City. 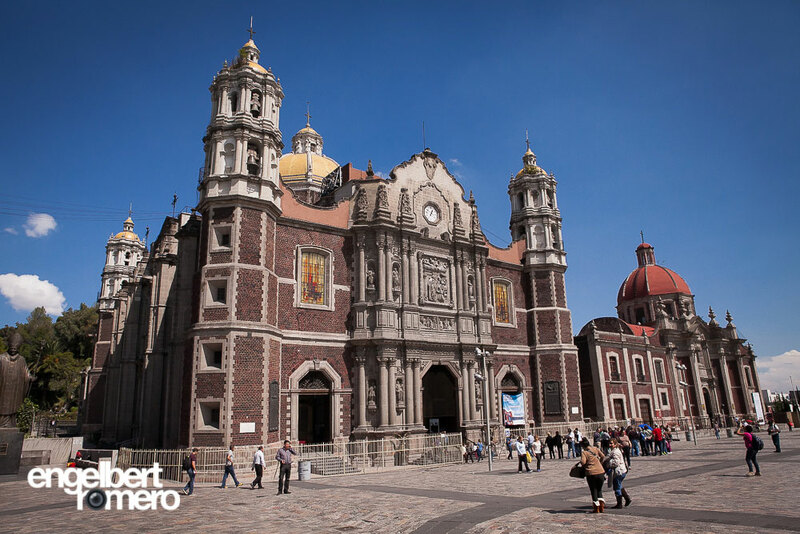 Mexico City has almost as many inhabitants as New York city, and has the vibe of a modern and sophisticated place that boasts great history, art, and food. I recently spent a weekend in this city while attending a photography workshop, and managed to visit many attractions in my spare time. You don’t have to rent a car or hire a tour guide; you can tour the city by foot using the subway, and ride one of the myriad taxi cabs available. My adventure started on Saturday morning walking around one of the most modern neighborhoods in the city: Colonia Cuauhtémoc. This neighborhood, or colonia, as they are called in Mexico, is located west of the city’s historic centre. 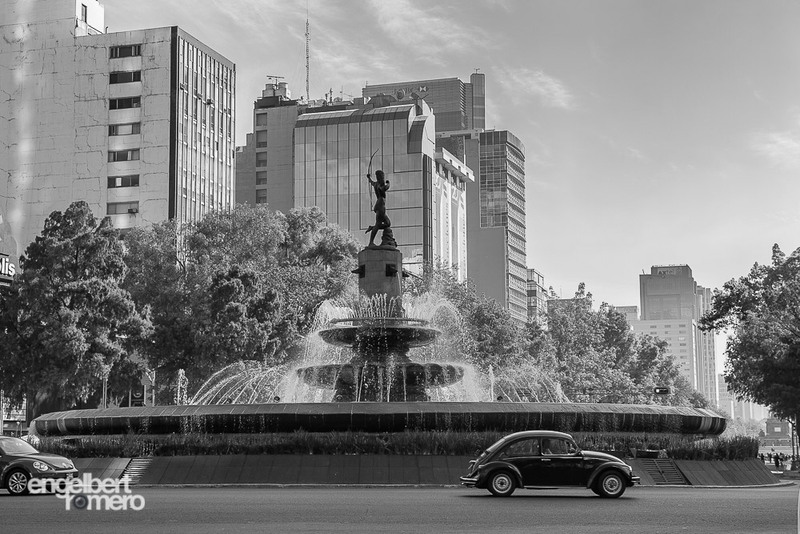 One of the main landmarks is Paseo de la Reforma, a wide avenue that cuts diagonally across the city. This avenue was built in the 19th century and resembles the big European boulevards where modern buildings and beautiful monuments coincide. The strip along Reforma, as Mexicans call it, is home to many important buildings such a the U.S. Embassy and the Mexican Stock Exchange, among many others. Reforma offers very pleasant walkways covered with trees offering shelter from rain or extreme heat and showcasing numerous sculptures along the way. Main intersections display magnificent fountains or roundabouts with monuments related to important milestones in the Mexican history. The avenue also has several metro stations connecting to the subway network and taking you, virtually, to any corner of the city core. I hopped on the subway and arrived at the second stop of my weekend getaway. At Reforma, I entered the “Chapultepec” metro station on Line One, headed east, managed to connect with Line Six and got off at “Villa Basilica” station, a few blocks from Our Lady of Guadalupe Basilica. I walked a few blocks and found a huge village of churches and chapels that commemorate the Virgin Mary’s appearance in Mexico, among other religious themes. I found this site fascinating. Here one can witness the coexistence of two Mexicos: the old and the modern. Right at the same square, you can see both the old Basilica and the new one. The old temple is a traditional Spanish colonial building erected in the 1700’s, which is sinking as many buildings in the city. Mexico City was built on a former lake and land is unstable in several sections of the city so it is common to see historic buildings under repair to counter attack the erosion of the ground. This temple had been closed for many years and recently reopened after undergone major repairs. You can quickly appreciate, like in the picture below, the tilt of the building when compared with other adjacent constructions. Right at a 45 degree angle, making a corner, you can find the new temple. This is a very modern concrete building completed in the 70’s constructed when the old temple became dangerous due to its unstable foundations. 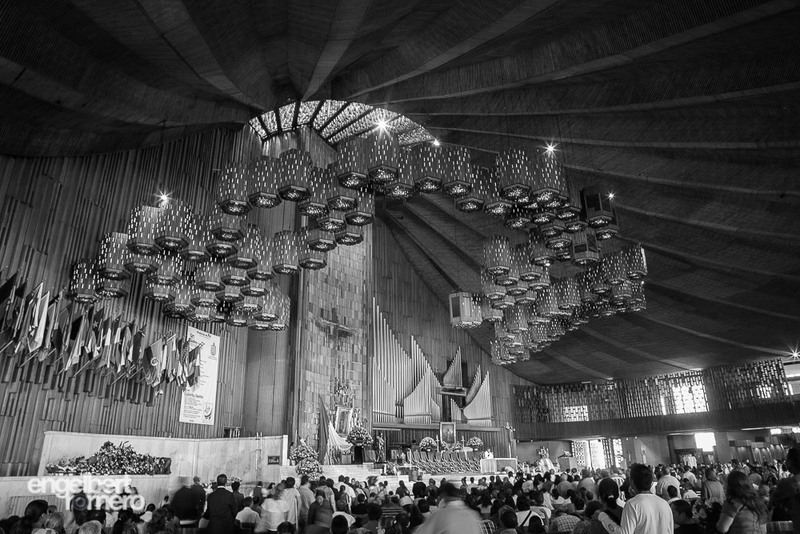 This shrine is one of the holiest places in the western catholic world. 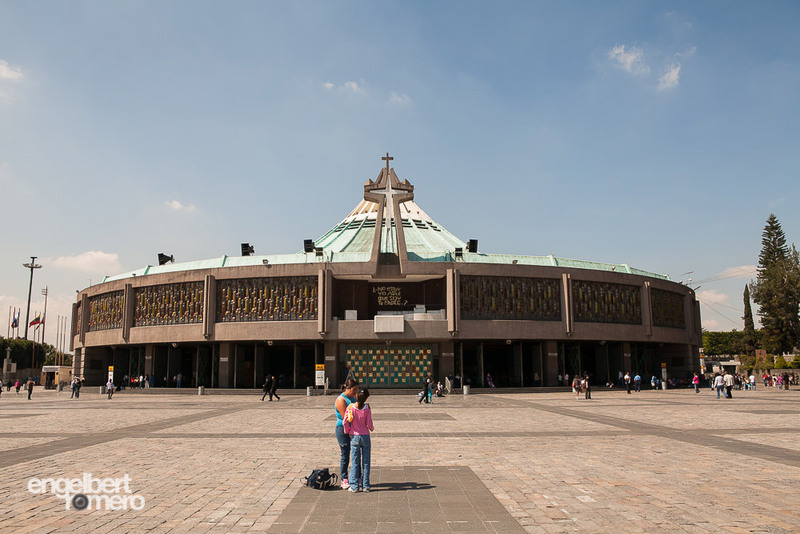 Millions of pilgrims come to visit especially in December, when the day of Guadalupe’s festival takes place. The new church shows a circular shape and the iconic image of the virgin that can be seen from any angle of the building. I believe the most impressive thing I saw inside the new church was the very image of the virgin. 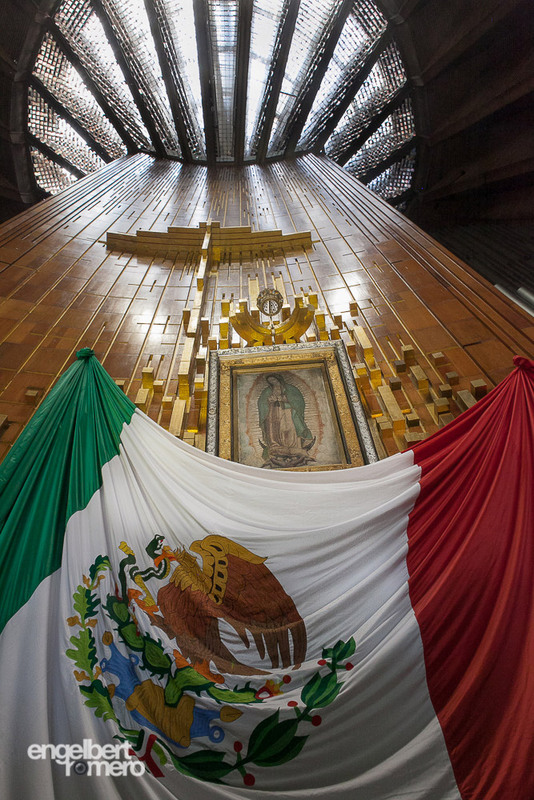 The legend says circa 1500’s a virgin appeared before Juan Diego, a Mexican man, asking for a church to be built in her honour, very close to where the church is nowadays. Juan Diego established several conversations with whom he believed was the virgin Mary. He also talked to Catholic church authorities at the time and was asked to provide proof of his interaction with the virgin. Following the virgin’s indications, Juan Diego took a piece of fabric, his “tilma” (apron), and with it, wrapped roses from the site where the virgin appeared. He went to see the priests and when he unwrapped the flowers, the image of the virgin was miraculously imprinted on his “tilma”. This very same “tilma” is displayed inside the church, protected by bullet proof glass and hung in the centre of the altar. After walking for hours in the Basilica village, I had a quick snack and headed to the historic centre. I managed to find the subway connection and get off at the “Zocalo” metro station. Believe me, you can spend hours touring the historic district, looking at museums, theatres, sculptures and more. 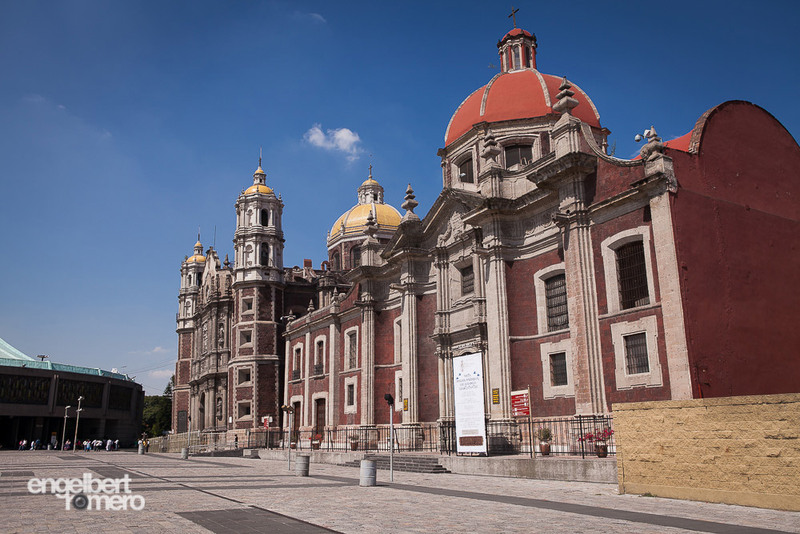 This time, I narrowed down my visit to the activities that were taking place at the Zocalo: the main plaza or square of the historic centre. As luck would have it, it turned out that the city was celebrating the Historic Centre Festival that very weekend with several free concerts held on a stage at the Zocalo. This part of the city, again, shows two Mexicos, this time though, it was not about the old and the modern, but about Spanish vs. Mexican indigenous. The Spaniards built the city on the ruins of the pre-Hispanic city, the former Aztec Empire in fact, following a European model that had to be adapted to the canals and rivers previously built by Aztecs and other prehispanic groups. 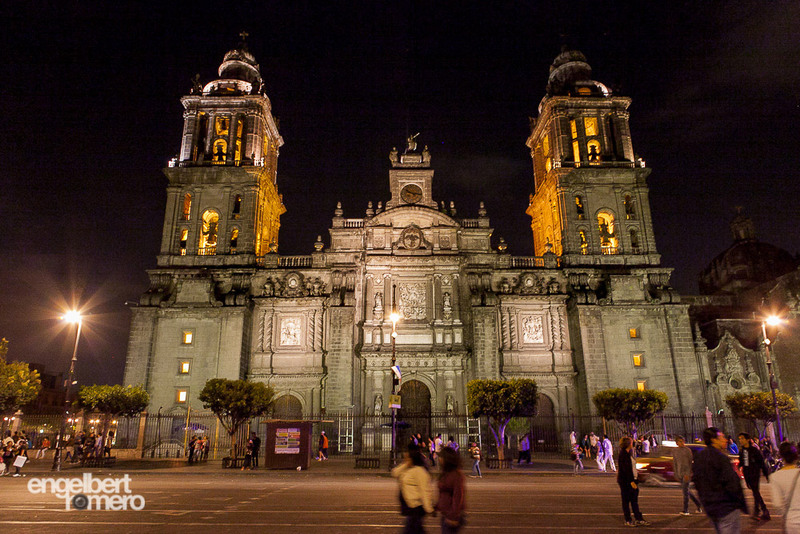 The historic centre, including the Zocalo, contains most of the city’s historic sites from both eras, a fascinating contrast. 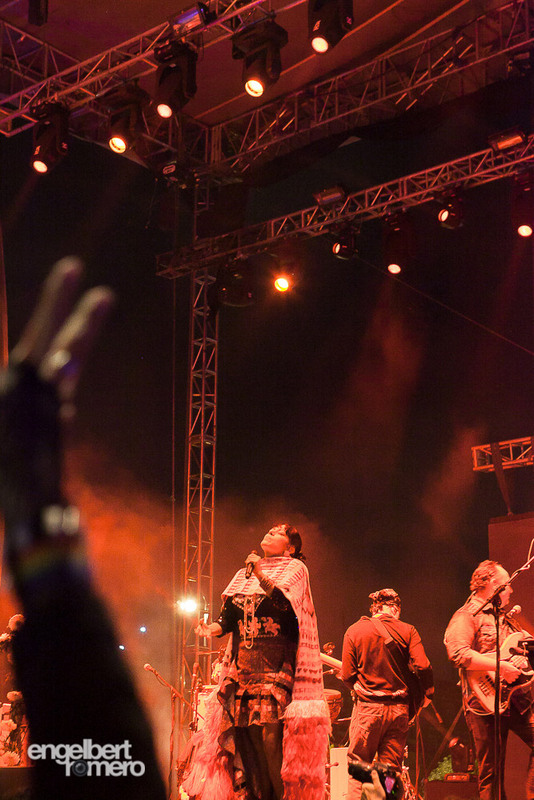 After enjoying a couple of concerts at the Zocalo that Saturday, I learned that Lila Downs was performing as a closing artist that very night. I have been following Downs for quite some time and even saw her in Vancouver, so this was an opportunity that I was not going to miss! The concert was superb, people were all in high spirits. After the concert was finished everybody returned home in a very organized and polite fashion. You could see police officers everywhere, even at the metro stations. Next day, the Zocalo was sparkling clean awaiting the second day of free concerts. Since my photography workshop took place in the Cuautémoc neighbourhood, I decided to take a final stroll on Reforma early on my second day. I didn’t know the avenue was close to vehicular traffic on Sundays so pedestrians could jog or bike along. I was pleasantly surprised by the myriad of activities that took place on the avenue; from a fair-trade ecological product expo to Zumba classes! Reforma was alive, vibrant and full of good vibes or “vibras” as Mexican say. 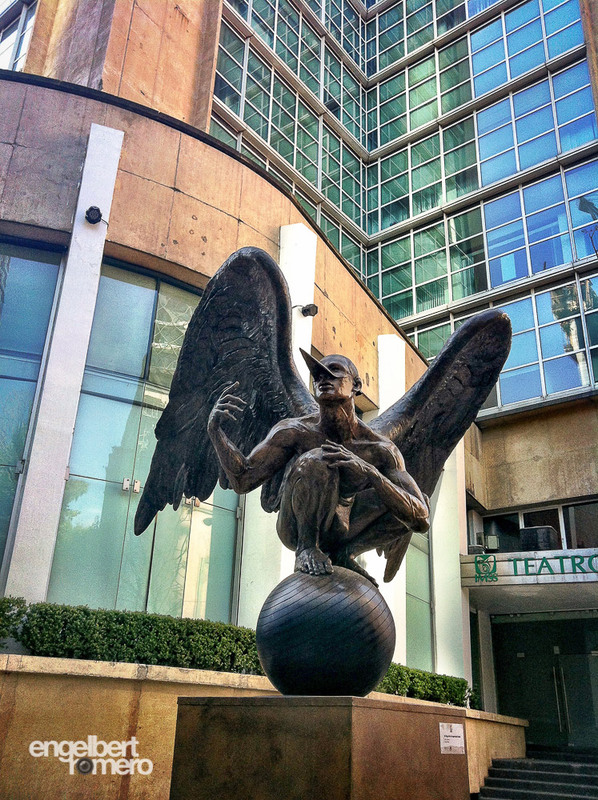 I started my day at a Starbucks close to the Angel of Independence Monument, right at the heart of Reforma. While zipping my coffee, I noticed a very heavy traffic of bicycles. 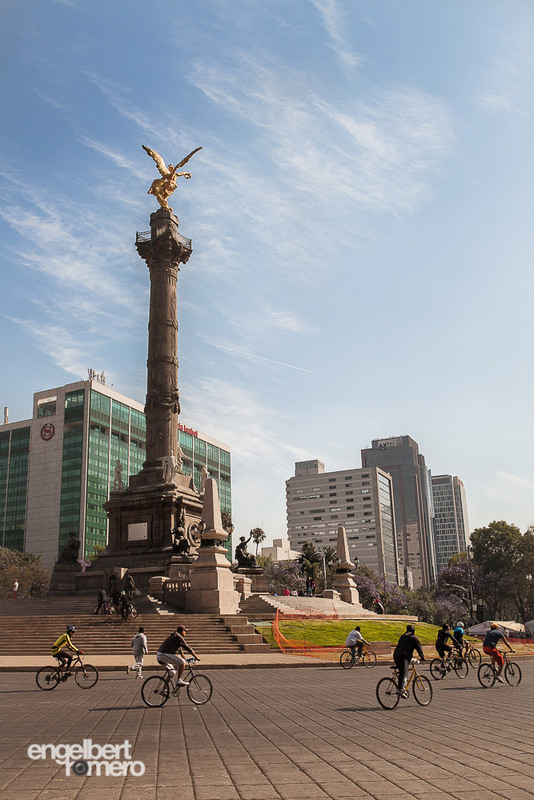 With Reforma dedicated to bicycle and pedestrian traffic, you could ride a bicycle for several kilometres from the west side of the city to Zocalo. The city has a bicycle sharing program, but I was not subscribed, so I decided to walk and see what was going on. I have to say, it was not easy to cross Reforma! Mexican bicycle riders do not seem to stop at lights and they evidently enjoyed the fast ride. A few meters from the monument, I found many fair booths on the Reforma strip. They all belonged to ecological and sustainable products expo. Ranging from bio-degradable cleaning products, mobile vertical gardens, and recycled fiber products, the expo showed very modern and advanced green ideas. Even the furniture dedicated for meetings and press conferences, setup on the street for everybody’s access, was made of recycled cardboard! I kept walking and heard a loud voice through speakers given breathing instructions and conducting a meditation-like practice. 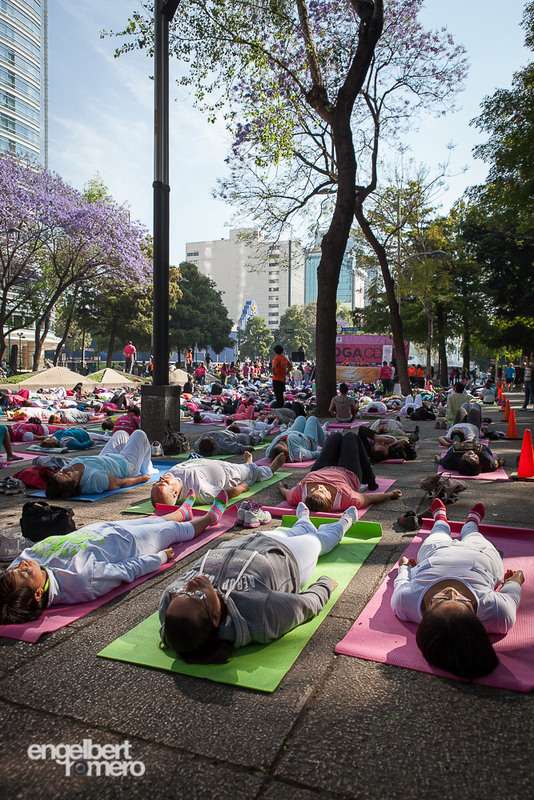 I was in awe when discovered a massive yoga class was taken place right by one of the sidewalks of Reforma. 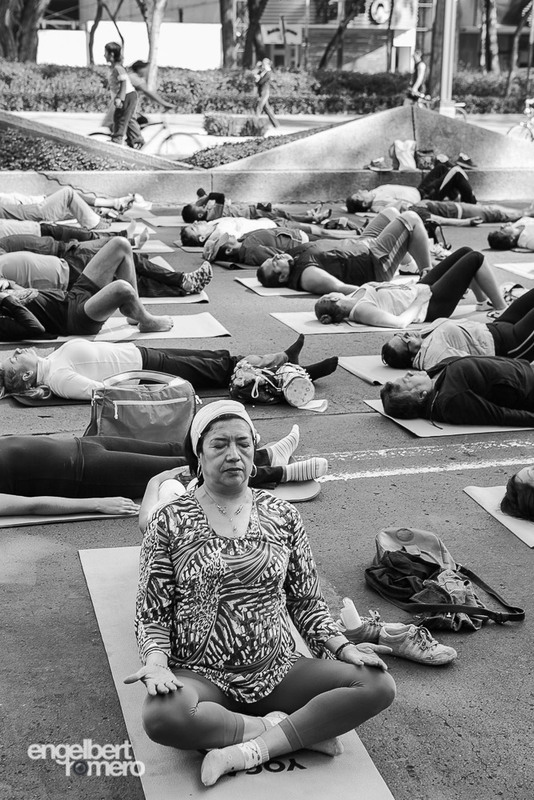 There were about 300 people all lying down on mats, stretching, breathing and enjoying a warm spring morning. This yoga group was like an oasis in the midst of bicycle riders, dance classes and product expos. Reforma seems to offer something for every taste on Sundays mornings. After all the excitement, I had to return to the hotel where my workshop was held at, the Hotel Casa González. This place was a jewel! 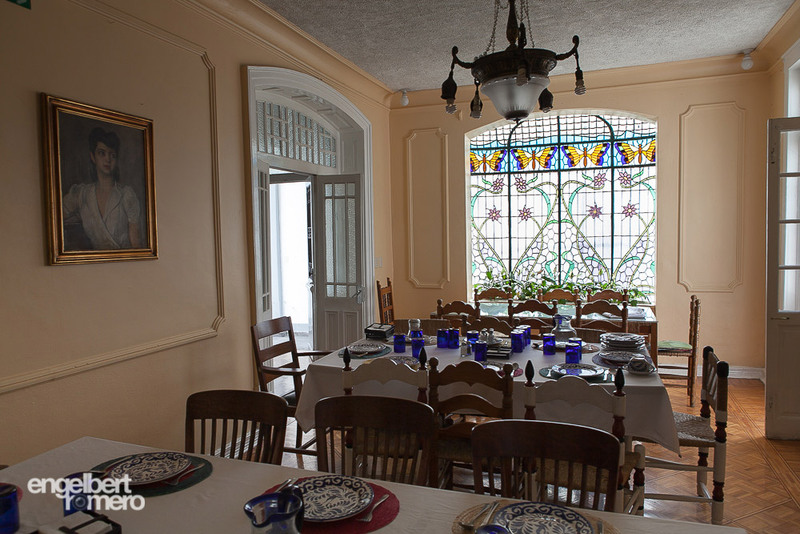 Located a few blocks from Reforma, this boutique hotel is an oasis in the middle of the hectic city landscape. The hotel has about 30 rooms only, and its architecture style is rather European, with French doors and stained glass windows. The food was homey and rich. The service was as usual superb. Mexicans know how to make you feel right at home. After spending a quite night, reviewing the notes of my photography workshop, I was ready to head back to Vancouver. A friendly cab driver took me to the airport in a very congested highway. It can take between one and one and half hours to get from the city core to the airport, so you have to plan accordingly. I had several takeaways from this trip, but what I enjoyed the most was being part of this hectic, complex and very vibrant city for at least a weekend. I was pleasantly surprised by the safety measures displayed around the city festival, the architectural diversity, and how “alive” everything seems to be. I will definitively come bask to explore more of Mexico city!